Massachusetts Hall, home to Harvard's central administration. Harvard filed a motion on March 8 to dismiss a lawsuit it currently faces alleging it was negligent in the care of Luke Z. Tang ’18, an undergraduate who died by suicide in 2015. In the motion the University argued that it and its employees did not fail to meet any “duty of reasonable care” and that the plaintiff’s allegations do not prove Harvard caused Tang’s death. They argue that Harvard employees did not have reason to believe Tang was at increased risk of suicide in the months before he died. Luke Tang’s father, Wendell W. Tang, filed the wrongful death lawsuit against the University and several of its employees in the Middlesex County Superior Court in November 2018, roughly three years after his son’s death. The lawsuit names the Harvard Corporation — the University’s highest governing body — as well as residential dean Catherine R. Shapiro, Lowell House Resident Dean Caitlin Casey, Harvard University Health Services mental health counselor Melanie G. Northrop, and HUHS psychiatrist David W. Abramson and accuses each of them of “negligence and carelessness.” The suit argues their actions directly resulted in Luke Tang’s death and calls for monetary damages of at least $20 million. Harvard’s motion references the 2018 Massachusetts Supreme Judicial Court decision in Nguyen v. Massachusetts Institute of Technology, in which the plaintiff accused MIT of negligence in his son’s suicide. In that case, the Court found that colleges do not have a “generalized duty to prevent suicide.” Rather, it held that universities must take measures only in certain circumstances. These include cases when administrators are aware of suicidal ideation or previous suicide attempts by a student. Harvard’s lawyers argue Wendell Tang’s lawsuit does not meet the standards established in the 2018 case for proving the University and its employees were negligent in failing to prevent Luke Tang’s death. In addition to the motion to dismiss, Harvard filed a supporting memorandum citing state case law to bolster its argument. The document argues that administrators met the standard of care required by the Court because they addressed Luke Tang’s first suicide attempt by transporting him to McLean Hospital. It also alleges that, contrary to the complaint, Harvard administrators were not aware that Luke Tang continued to have suicidal ideation after his time at McLean. “[Wendell Tang] has not pled facts identifying any subsequent events that would have triggered a new duty to [Luke] Tang after the spring semester ended and immediately prior to his death in the fall,” the filing reads. Harvard spokesperson Rachael Dane did not immediately respond to a request for comment on Sunday. Dane has previously declined to comment on the case, citing its pending status. Wendell Tang’s lawyers filed a response opposing Harvard’s motion on March 8, arguing that Harvard assumed a legal obligation of care under the precedent set in the Nguyen v. MIT case. They argued that the named Harvard employees in the case individually had voluntary “special relationships” with Luke Tang and knew that he continued to struggle with suicidal ideation in the months preceding his death. The lawyers included a draft of a 2015 “contract” outlining the terms for Luke Tang’s treatment during his time at the College. 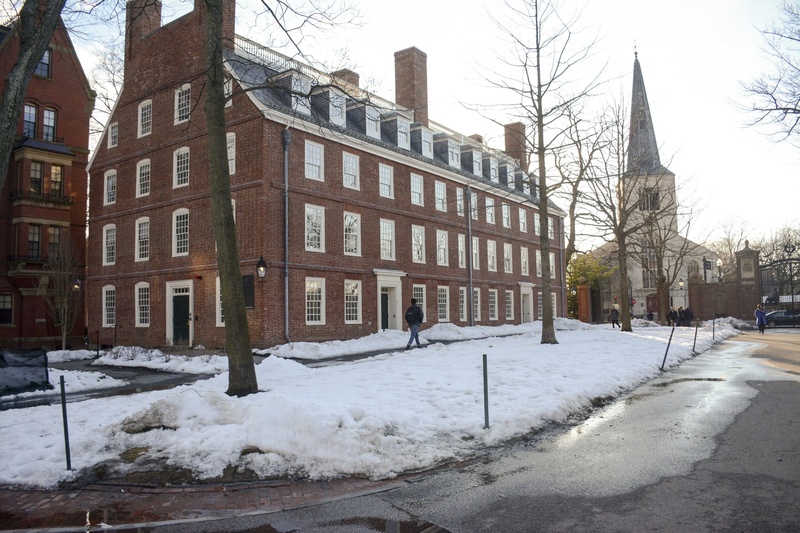 They argued the contract demonstrates Harvard failed to meet its obligations of care. Harvard previously informed the court that it intended to file a motion to dismiss on behalf of itself and its employees, including Shapiro and Casey, on Jan. 16. Abramson filed a motion to dismiss separately on Jan. 18. That same day, Northrop denied the allegations against her and requested a jury trial. Northrop’s filing specifically aimed to refute allegations that she had a special relationship with Luke Tang or could have foreseen and prevented his death. The original schedule for the suit listed March 11 as a deadline for the court to hold hearings on certain motions, including motions to dismiss. The court has not yet filed further documents in the case docket, and the ultimate outcome of the two parties’ filings remains uncertain. —Staff writer Shera S. Avi-Yonah can be reached at shera.avi-yonah@thecrimson.com. Follow her on Twitter at @saviyonah.